If you have a business, you need search engine optimization, or SEO. 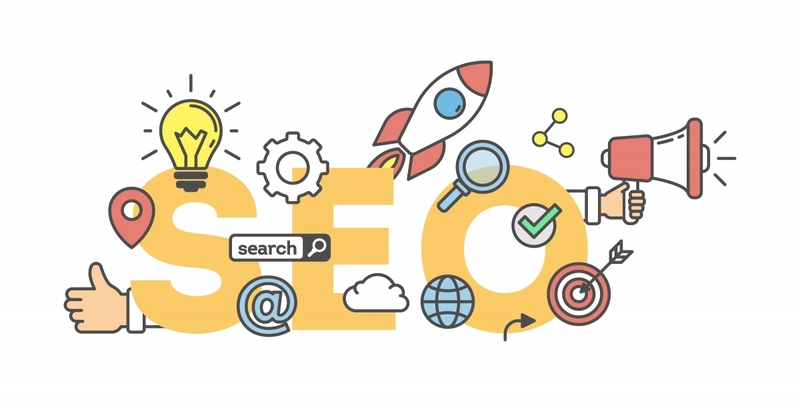 Good SEO has the potential to improve your brand awareness, bring your website to the top when users search the web, and dramatically increase your bottom line in the process. SEO is the the act of improving your website’s rankings in search engine results. The end goal of SEO is to get more people to visit your site and stay there. Of course, you don’t want people to just visit your site. What you need is for them to “convert”. A conversion happens when a site visitor does what you want them to do: buy a product, order a service, share something about you with their social media followers, or otherwise help you. Research shows that 70 percent to 92 percent of all search engine “clicks” go to the results found on the first page of returns from a web search. In fact, the majority of those user clicks go to the first three sites on the list. This means that if your website does not appear on the first page when a user makes a search for keywords related to you, your chances of attracting their notice online are small. SEO is also important because it improves your site in a way that gets more customers to convert. Google, Bing, and other search engines use bots which “crawl” the world wide web and take a look at all the websites on it. The algorithms which direct these bots are changed all the time. Currently, Google looks at at least 200 different factors when evaluating a website. The algorithms try to search like real human beings, and every month they get better at it. This means the algorithms are looking for websites that are relevant to a particular search and have good authority in that category. What does it mean to be relevant and have authority? Authority is the most important part of a website’s ranking. This term simply means that a site has earned respect from search engines: they see it as meaningful, useful, genuine, and stable. Authority is very subjective and has to be earned. Relevance refers to how well a website corresponds to a particular search word or phrase. For example, if someone searches for the term “Austin waffles,” search engines will look for sites that signal they are connected to businesses that sell breakfast foods in Austin, Texas. Onsite SEO: This refers to the work you do on your own website. It includes doing research on what keywords are relevant to your brand and goals, and doing audits to make sure all the technical aspects of your website are working properly. You also need to make sure that your website offers users a good experience. This means that you provide useful, fresh content on a regular basis and that your website is fast and easy to navigate. Offsite SEO: This refers to work you do outside of your own website. The most important part of offsite SEO is link building. Links on your pages to/from other websites with good authority show that your site has earned trust from those websites. Offsite SEO also involves taking control of your social media accounts and using them to drive traffic to your website. This might be through posts highlighting interesting content on your site, announcing giveaways or contests, or anything else that grabs people’s attention and gets them sharing.